General: While a variety of trends from foil-cooked foods to shelf-stable probiotics and fibers are on the horizon, we’ve already seen movement in trailblazing frozen products and gut-friendly foods. Supermarket/Retail: Personalized shopping experiences and innovations in digital shopping are expected to transform the retail space, among other technological developments. Restaurant/Dining: With activist chefs and phone-less dining predicted to shake up the restaurant industry, so too are inclusion of sea vegetables on menus and fast-casual dining experiences. Bottom Line: While we’ll see the crossover of a handful of trends into 2019, this year is projected to bring novel products and food concepts into mainstream consumer awareness. To learn more about trends from the Academy of Nutrition and Dietetics 2018 Food & Nutrition Conference & Expo, check out this article. Nutrition, health and wellness is getting personal. Real personal. The ability to customize and tailor nutrition advice and services direct-to-consumers now prevails over a “one size fits all” solution. Despite the promise of personalized nutrition, mainstream adoption will depend on a variety of factors including consumer trust in big data and access to nutrition experts for delivering tailored advice. Key challenges of personal data collection and security, data reliability and commercial practicality among others, remain of concern. Registered dietitians and other health professionals can play a key role in helping consumers validate recommendations and use/interpret new personalization technologies in order to eliminate bias and keep artificial intelligence in check. Bottom Line: Although there is buzz on personalized nutrition and disruptors providing new services and technologies, mainstream adoption hinges on several factors including access, affordability and scientific support. New research and development efforts, plus connecting consumers with credible health professionals will be key for the field to expand. Plant-based innovation continues to explode in the marketplace as consumers show new interest in plant-centric diets, and as the issue of sustainability remains a widely discussed conversation topic. Plant-based protein supplements are growing rapidly, alternative proteins (e.g., chickpea, duckweed) permeate the space, and insect protein (crickets as a protein source, anyone?) continues to be posed as a strategy for combating worldwide hunger and malnutrition. Food and beverage companies like Nestlé USA, PepsiCo, Unilever, Praeger’s and Danone meet consumer demands for a plant-forward focus by continuing to diversify their product portfolios. Collaborations with new start-ups and acquisitions of plant-forward brands include the following companies: Health Warrior, The Vegetarian Butcher, Jackson’s Honest, Miyoko’s and Here. Newer plant-based product launches spanning alternative coffee creamers to fruit and vegetable chips are invading supermarket shelves. Recognizing the growing trend in plant-based choices, the Allergen Control Group invited brand owners, retailers and manufacturers to apply for participation in the first internationally recognized Plant-Based Certification Program (PBCP), which aims to provide consistent standards and transparency as other certification programs. Bottom Line: The power of plant-based foods is here to stay as consumer mindsets’ shift to finding new ways to include more plants in their meals, snacks and beverages. Today’s consumer expects much more from agriculture and food systems than in previous generations. Through purchases, consumers express their preferences and values, and help shape the decisions of producers and retailers. According to recent Nielsen data, 48% of U.S. consumers are willing to “change their consumption habits to reduce their impact on the environment.” Sustainable product sales are now 22% of total store sales in the U.S. By 2021, it’s expected that sustainable goods will comprise 25% of store sales. Mondelēz, Unilever, PepsiCo, Kellogg and other manufacturers are taking action by developing sustainable solutions to address the growing packaging waste problem. The Society for Nutrition Education and Behavior and the EAT-Lancet Commission on Food, Planet, Health released a report with the ultimate goal of advancing sustainability in our complex food system and raising public awareness on the topic. Bottom Line: Consumers’ heightened interest in reducing their personal environmental impact has resulted in increased scrutiny of brands and their product portfolios, challenging companies to be transparent about, and prove their progress toward, positive contributions to sustainable food systems. The 2018 Farm Bill, which avoided partisan minefields on SNAP benefits and commodity policy, was officially signed into law. In an effort to sidestep Congress, the Trump Administration announced a proposed rule that would make it more difficult for able-bodied adults on SNAP benefits to seek waivers for work requirements, directly contradicting the objective of the recently-passed bill. The USDA decided to move forward with flexibilities for milk, whole grains and sodium in their final rule for child nutrition program flexibilities, which recognizes the importance of practical requirements for program operators. For example, flavored milk choices have been broadened to include low-fat flavored milk (not only fat-free) for the purpose of removing regulatory restrictions that may hinder milk consumption. The USDA’s Agricultural Marketing Service published the final rule on the mandatory National Bioengineered Food Disclosure Standard – commonly known as genetically modified or “GMO” labeling. By January 2022, all products made with bioengineered ingredients containing genetic material must display disclosures in order to meet compliance standards. The regulatory battle regarding who will have authority over “cell-cultured meat” has officially ended, with the USDA and FDA granting joint jurisdiction of the production of cell-cultured food products derived from livestock and poultry. 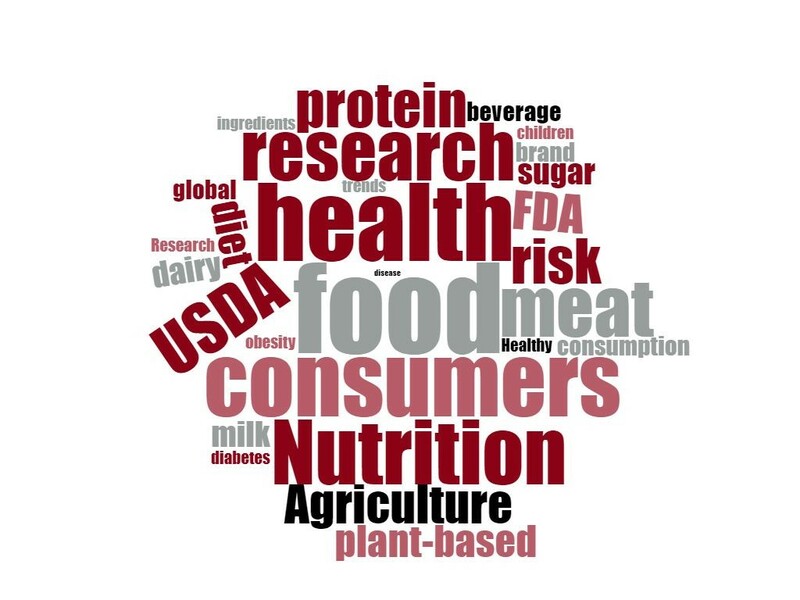 The statement released by U.S. Secretary of Agriculture Sonny Perdue and FDA Commissioner Scott Gottlieb can be accessed here. The World Health Organization (WHO) released a report assessing international advancement towards improving malnutrition in all its forms – including obesity – and deemed that global progress is not sufficient to meet global public health targets. As goals continue to be missed, WHO will likely push its member countries to implement strict policy measures around issues such as front-of-pack product labeling and restrictions on marketing to children. Bottom Line: Nutrition and food policies in the U.S. slowly move forward while global pressure mounts to make more progress towards public health goals.